REAL WORKHORSE: A range of waste handling systems illustrate the flexibility of the sturdy and reliable ACCO design. AFTER four decades, the Australian-designed and built ACCO range of truck cab-chassis from IVECO continues to improve with age. The innovative but functional design allows ACCOs to be easily and quickly adapted for a wide variety of transport tasks. For more than 40 years, trucks with the name ACCO on the side have been an integral part of the Australian transport industry. Designed and built to meet local conditions, ACCO trucks are able to stand up to some of the harshest driving conditions in the world. The vehicles easily handle the many demands, extremes of climate, large loads and poor road surfaces to deliver goods and services to towns and cities across Australia. The ACCO range is now owned by IVECO Trucks Australia and continues to be produced at the same manufacturing facility in Dandenong, Victoria where it was born. 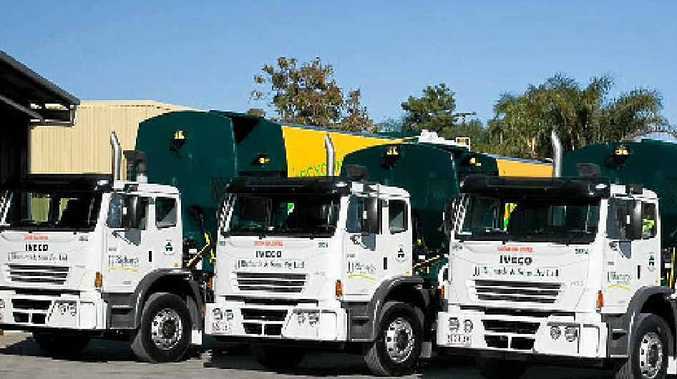 ACCOs comprise the majority of the 2000 IVECO vehicles that every week travel more than three million kilometres removing 80,000 tonnes of waste material from Australian homes and businesses, delivering 70,000 tonnes of fresh fruit and vegetables to supermarkets, and doing a myriad of other logistical and transport tasks. The ACCO first appeared on the drawing board in the early 1960s and the prototype debuted in 1963. The basic shape of the vehicle has remained virtually unchanged throughout its long life. A feature of the truck is that since the first ACCO prototype, every part of its cab-chassis design has been engineered, designed and made at the Dandenong plant. Through a diverse range of machining and shaping processes, raw sheet metal is converted into the components of the cabin. The Dandenong plant produces up to 650 ACCO trucks each year and it has produced more than 78,000 ACCO trucks since the model's inception. Lloyd Reeman started as a mail boy with International Harvester in 1969, and then moved on to sales where he sold his first truck of the current ACCO design in 1972. Today, Reeman is Director Key Accounts, Sales Division for IVECO Trucks Australia-and still sells all ACCO models. The basic form of the ACCO range since the 70s has been a utilitarian box-shape cab-over, with the engine and cabin co-located over the front axle. Engine servicing for such vehicles is by tilting the cabin. The design has a simplicity that was recognised from the start as a strong, robust and safe truck. "The early ones were pretty basic trucks, with few creature comforts for the operators," Mr Reeman said. Since the first truck rolled off the production line, more than 4000 design modifications and additions have been made. "Many changes were implemented in response to customer requirements, but also the evolving health and safety legislation," Mr Reeman said. "We added air conditioning, different suspensions, insulation and power steering, among many other innovations to suit changing market requirements." One of the advantages of the vehicles being fully manufactured in the one facility is that IVECO can work closely with the companies producing the machinery and bodywork that will be attached to the chassis in order to ensure the correct positioning of bolt holes. "We can be very responsive to our customers," Mr Reeman said. "We can build a one-off design or 100 copies of it and still be competitive in terms of price and time to manufacture." ACCO trucks have almost become the de facto platform for the vocational market, such as concrete mixers, throughout Australia. The design is strong and stable which allows an ACCO to withstand the stresses associated with having six to seven tonnes of concrete revolving on its back. The same characteristics also make it an ideal platform for mounting waste handling equipment. News DRIVERS are struggling to figure out who has the right of way when presented with this highway scenario.